WASHINGTON: Despite an aggressive crackdown by social media firms, so-called "junk news" is spreading at a greater rate than in 2016 on social media ahead of the US midterm elections, according to researchers. It added that "junk news once concentrated among President (Donald) Trump´s support base has now spread to include communities of mainstream political conservatives." Responding to the study, Twitter and Facebook questioned the conclusions and methods used by the researchers. 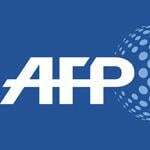 "We respect and appreciate strong independent research but we challenge some of the findings here," a Twitter spokeswoman said in a statement to AFP. Twitter said many of the sources cited in the study were "not foreign, not bots, and for the most part not coordinated. They are real people sharing news that reflects their views." Facebook pointed to other research suggesting a decline in misinformation. "The conclusions drawn in this research shouldn't be seen as the authority on this topic," Facebook said in a statement. Jennifer Grygiel, a Syracuse University professor specializing in social media who is not affiliated with the Oxford study, said she was not surprised by the findings because of the design of social networks. "Because clicks lead to revenue, social networks elevate junk news," she said. "If we are starting to feel like this is a world of reality TV, it's by design, That's how the system was built."